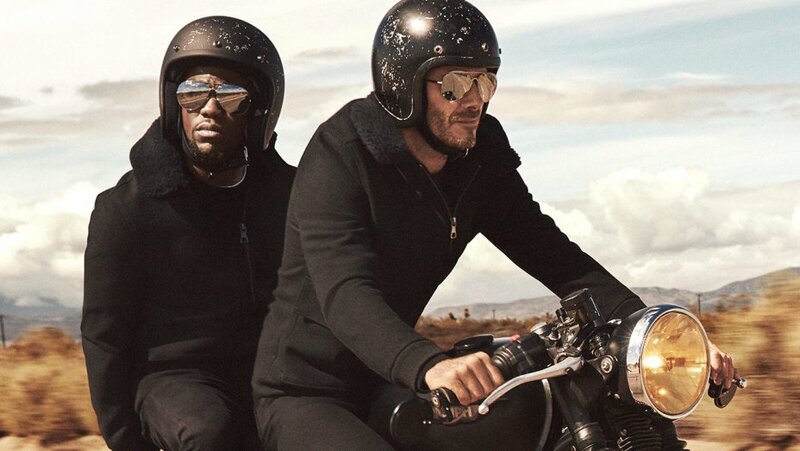 He's a national hero and football legend, and now David Beckham appears to be embracing acting in a hilarious campaign for H&M. Teaming up with comedian Kevin Hart, the odd couple duo are seen hitting the road in a branded tour bus to promote their show, 'I, Beckham: The Musical'. In the clip, to promote H&M's Modern Essentials range, the pair are dressed up in matching clothes and their road trip to Las Vegas takes a comical turn for the worse when they're stopped by a cop - and then lose their way.